Roland Systems Group's S-0808 Stage Pocket, developed in partnership with Ace Backstage, is designed to allow the RSS by Roland S-0808 to slide in and out of a nesting frame that secures it for use while in the pocket. It also lets users take out the S-0808 and place it on stage near the audio source. 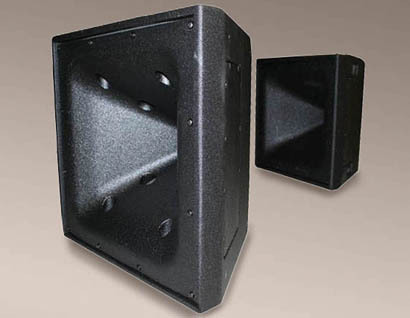 Danley Sound Labs recently announced the SM-60M and SM-60F, two new molded horn loudspeakers. Both the SM-60M and SM-60F feature Tom Danley's synergy horn technology. The SM-60F is designed to deliver full-range content, whereas the SM-60M delivers mid- and high-frequency content only. 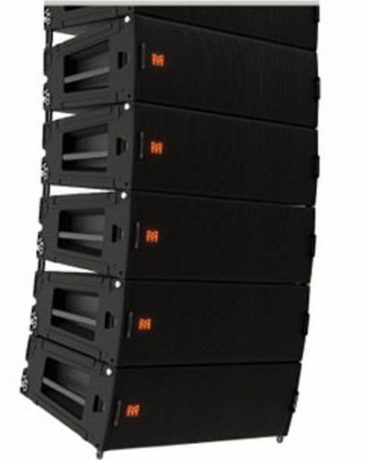 EAW announced two additions to its KF Series loudspeaker line and three integrated NT variants, for use at corporate AV events, small-to-medium-sized live sound reinforcement, performing arts venues, houses of worship, retail spaces, ballrooms, theaters, theme parks and elsewhere. EAW announced 10 additions to its JF Series of high-definition two-way loudspeaker systems, including four comprehensively integrated NT models. Designed for a wide range of contractor and system integrator uses, the new JF and JFNT Series units are touted for being scalable, compact and light in weight, suited small and medium-sized sound reinforcement applications. 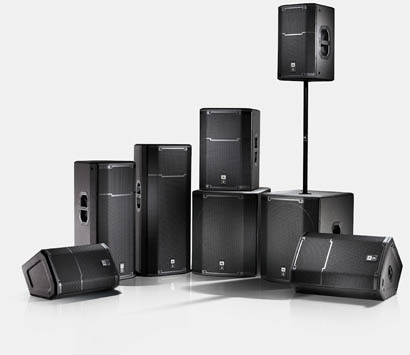 JBL Professional (C6236) recently introduced its PRX600 Series active portable loudspeakers, which includes the PRX612M, PRX615M, PRX625, PRX635, and two subwoofers, the PRX618S and PRX618S-XLF. Crest Audio's E-Lite series amps are built on a high-speed class D design with a switch-mode power supply to reduce weight while increasing reliability, thermal efficiency and output power. The E-Lite 1800 and E-Lite 1800 DSP offer 900 watts per channel, and the E-Lite 3000 and E-Lite 3000 DSP have 1500 watts per channel. 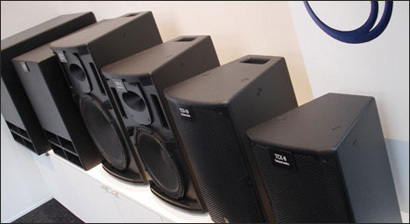 Both versions weigh less than 10 pounds and can be used in parallel, stereo and bridged modes. 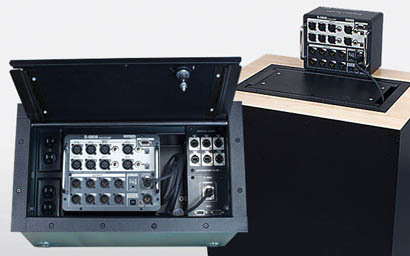 Ashly Audio's pêma (Protea Equipped Media Amplifier), a powered processor, combines Ashly's DSP functionality with the company's amplifier functionality inside a two-rack space unit. Martin Audio's MLA Multi-cellular Loudspeaker Array uses optimization software and a new cellular array design to "take the guesswork out of daily system design," according to R&D director Jason Baird. "We are convinced that MLA is a game-changing product." Turbosound's six-model Compact series includes four passive trapezoidal loudspeakers and two subwoofers, all outfitted with rigging features suited for portable live sound and fixed installation applications. 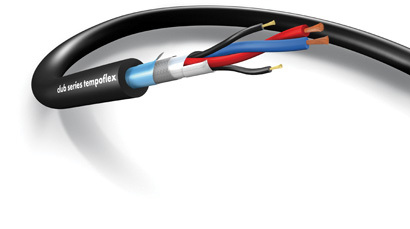 The Club Series Tempoflex from Sommer Cable is designed for permanent installations and mobile applications for theater and other live performances, particularly those where the mikes are allowed to dangle from truss. 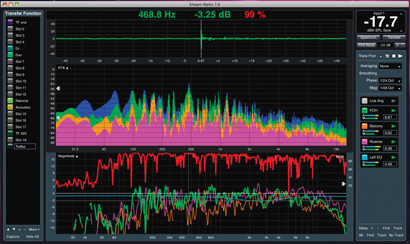 Rational Acoustics's Smaart v.7, the culmination of an two-year development effort, is also the first version of Smaart designed and released solely by Rational Acoustics, who purchased the brand from EAW in November 2009. 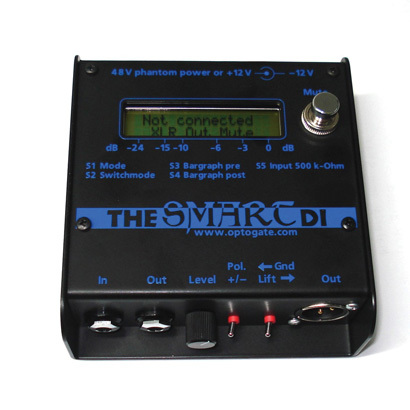 The Smart DI from Optogate features an integrated microcontroller and an LCD display to address some of the problems commonly associated with traditional DI boxes: the need to hunt for signals between stage and desk, the lack of fine adjustments of the input signal and the "pop" heard when connecting or removing an input connector.